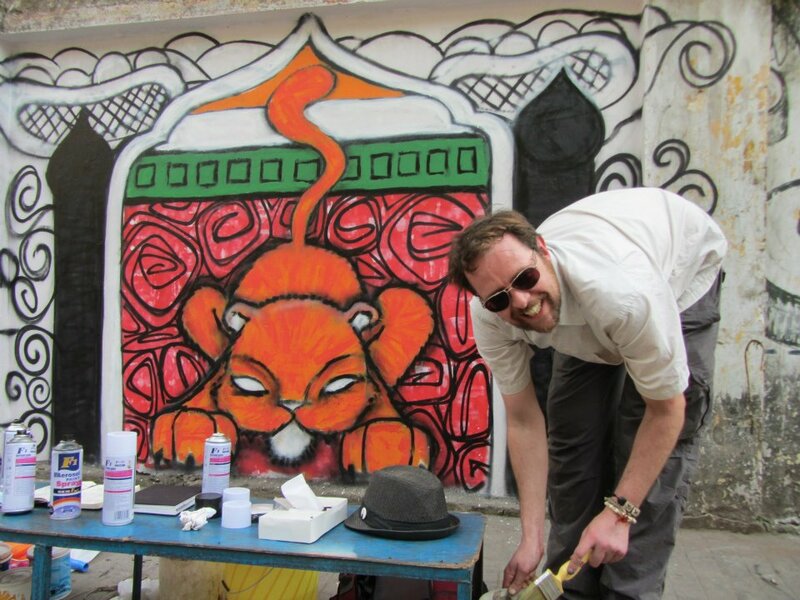 Today sees the launch of the Brighton Festival street project in conjunction with Grafik Warfare. 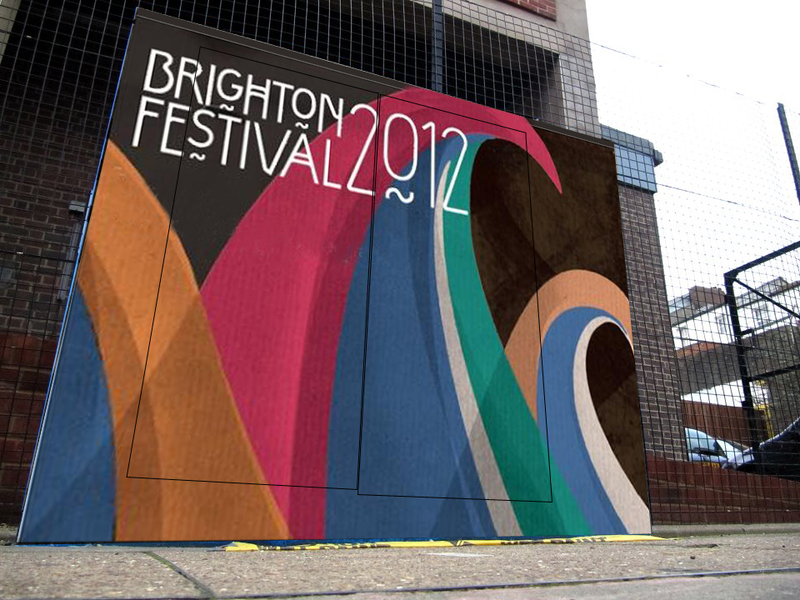 This year we are rolling out a smaller set of images across the city, using the festival branding over the media boxes. We are also collaborating with a team of Yarn Bombers to add some fabric style Street Art in to the mix. 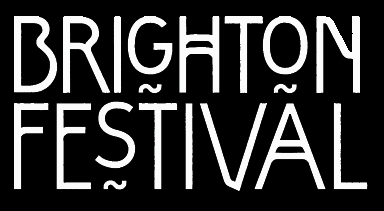 Keep your eyes peeled around Brighton for the next week or so and you’ll see the work appearing. SO here it is. I’m back in blighty. I’ve been amazing lucky with the weather here so far and it isn’t too cold. That has made it easy to get out and do a little painting around the town. Whilst I was away in India, I met up with family that I have not seen for a long time or even met, some of them. I also met lots of lovely people. 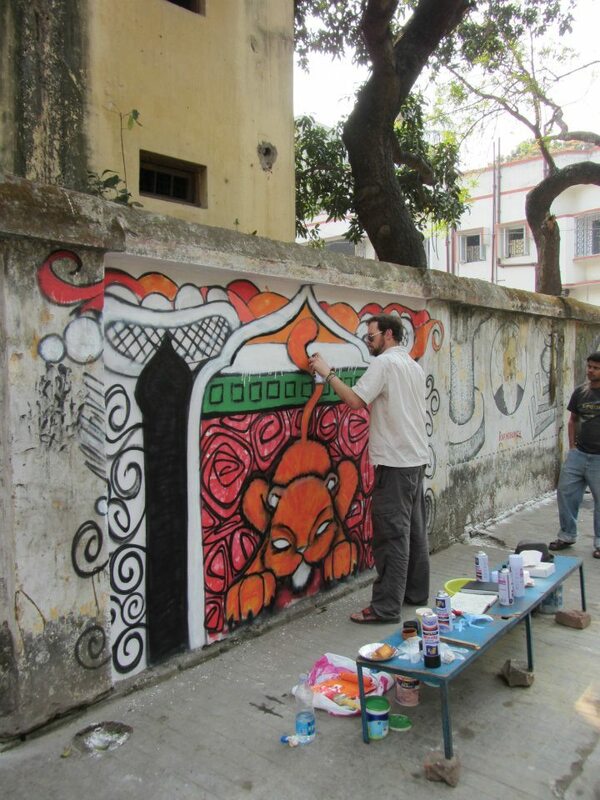 My trip there was to rest but I also had the desire to create something and when I was offered the fantastic opportunity to paint on a wall in Kolkata, then I jumped at the chance. 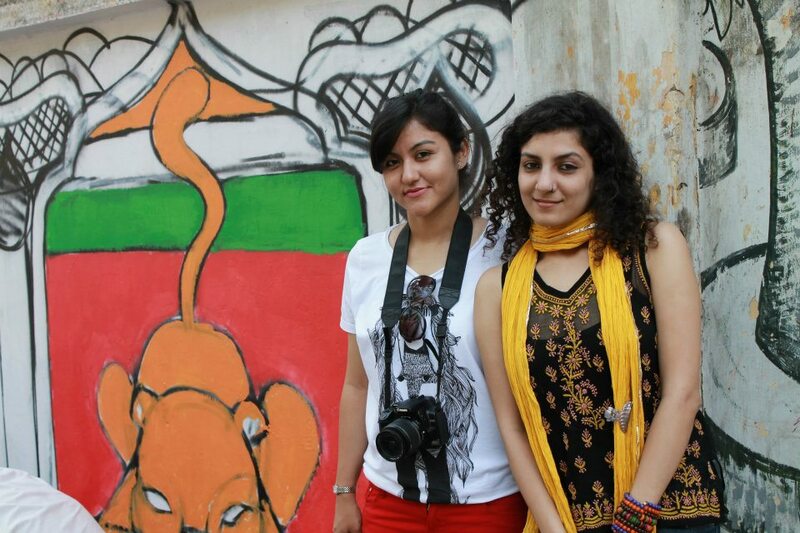 I met a girl called Sweata Sharma, who writes an art blog called Kriya Kalash. I was inspired to discover that this blog highlights and showcases home grown Indian artists and works in all disciplines. 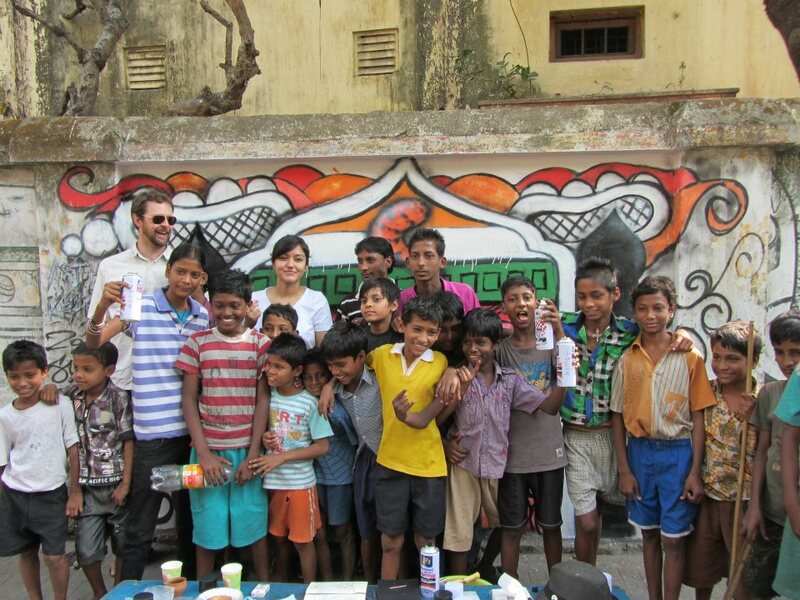 She also has a part in a collective called Asthir Art on the Move, with her friend Richa Kumar, amongst others. This was the link that I had been looking for. A creative organisation who believes in spontaneous creativity and inspiring others through art. Something that I definitely hold close to my heart as a driving force for my own work. Sweata and Richa then put me in touch with a man called Manas Acharya, who was curating a show at Studio 21 gallery in Ballygunge, Kolkata. My timing was slightly out as he had just finished putting the show together and had an event where Speedy Graphito painted a wall at the gallery. Despite this he offered his help and expertise and arranged for me to paint a wall nearby, situated in an area where there had clearly been a history of wall art. The date was set and I was asked if I could create an image that had an air of Bengali influence and vibrance. 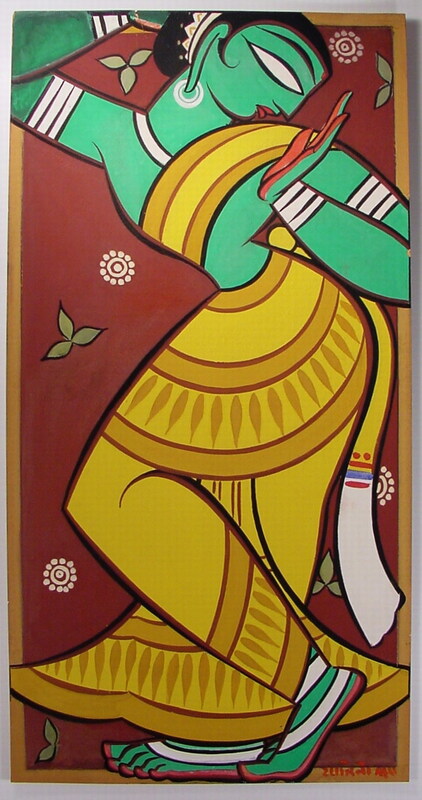 During my trip I had seen paintings by contemporary Bengali artist, Jamini Roy. The images instantly grabbed me as they were different from other Indian styles that I had encountered. They were colourful, like a lot of the Indian artforms, however they were very tribal and simplistic. Very cartoon like. His pattern work and use of simplified shapes stood out to me so I incorporated this in to my design. The date that was set was also the day before I was going to visit the Sunderbans Tiger Camp. 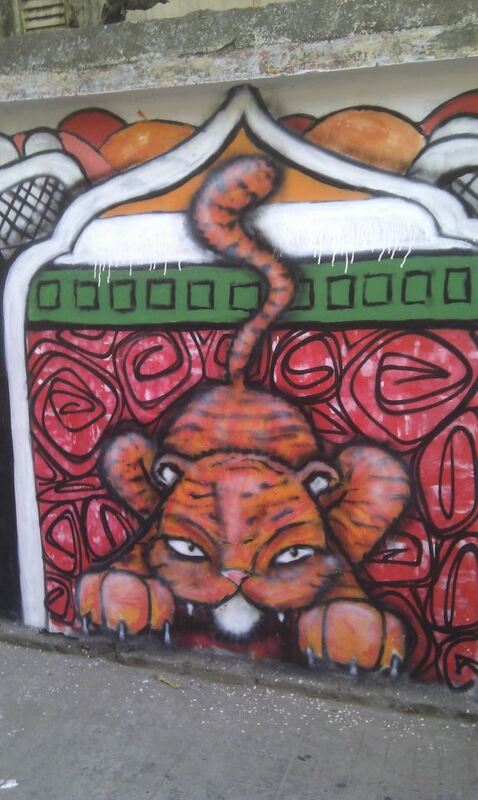 The idea of seeing a Bengal Tiger was running through my mind quite a bit at that time ( even though it is very rare!). 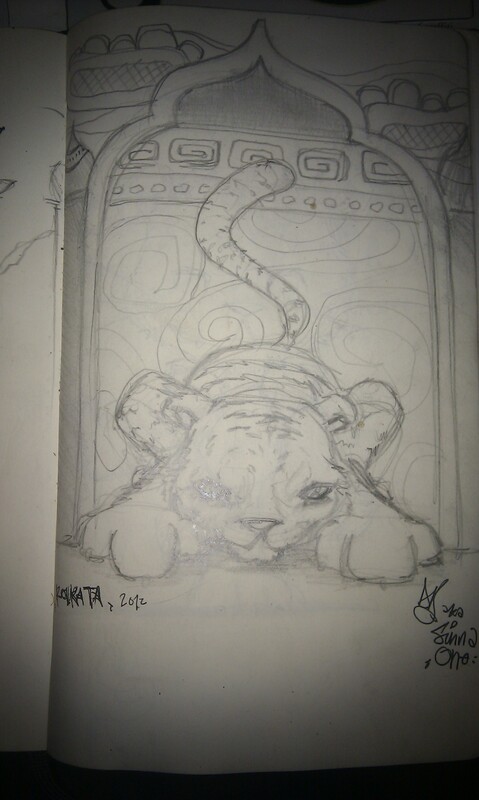 As I was flying from Bagdogra to Kolkata, I drew a small sketch of a Royal Bengal tiger, crouching and ready to pounce. I then drew a border very much in keeping with the Jamini Roy work that I had seen. 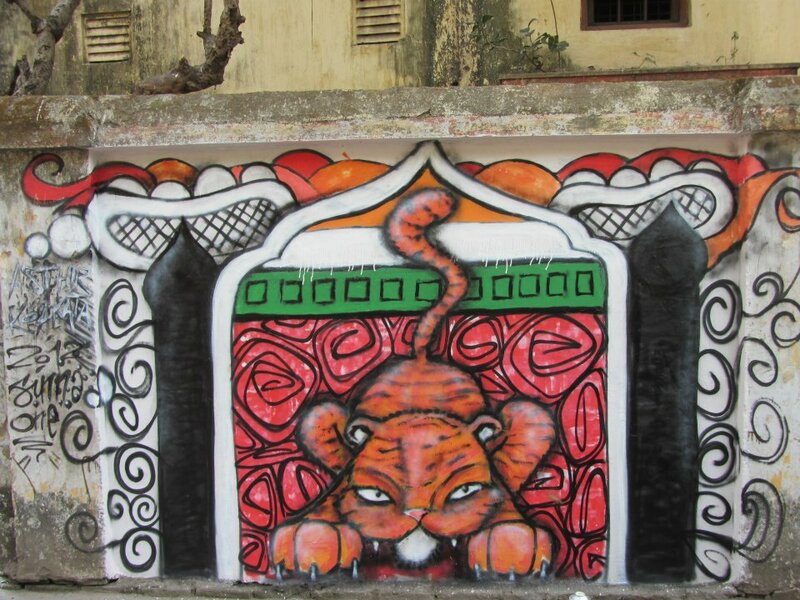 I used the clouds from his ‘Procession’ painting that I had seen in the Victoria Memorial in Kolkata and drew a structure around the tiger as a border, in the mogul style, with minarets. After a brief meeting with Sweata, it was decided that this should be the image that I painted. 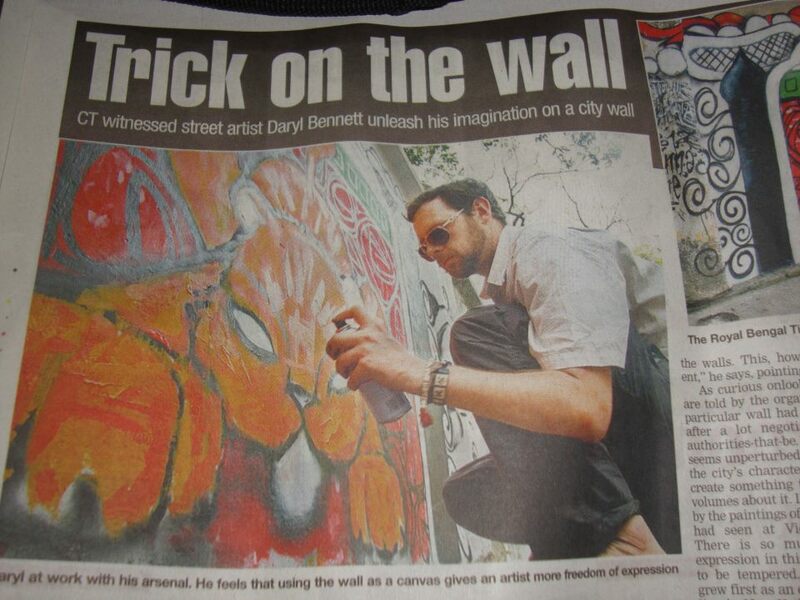 On the 29th Feb I went to the wall on Dover Place, in Ballygunge. 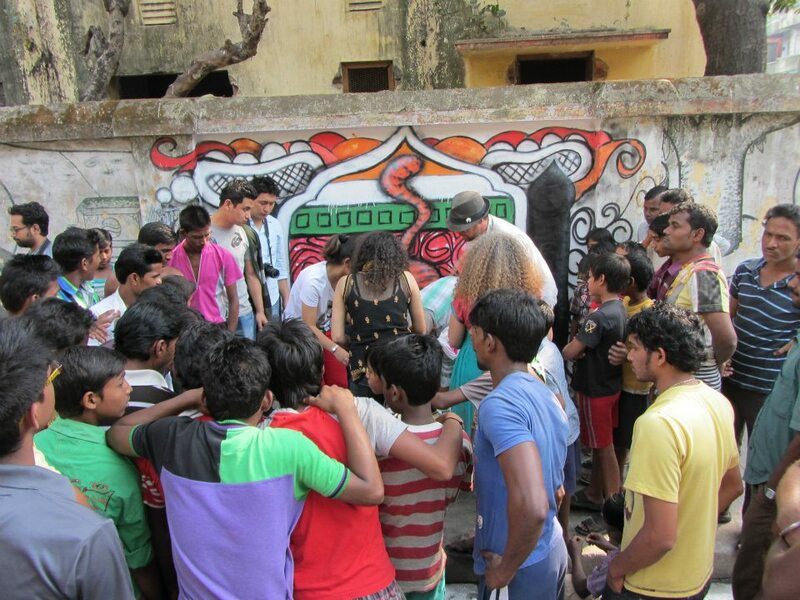 I was greeted by Richa, Sweata and a large group of young lads of varying ages. They had come to watch as they all lived in the local community and they had helped to prepare the wall. I had requested some black and white spray paint and some White, Orange, Green and Red emulsion. I got to work. Whilst I painted more and more people arrived and took pictures and even the press stopped to have a look and ask me some questions. 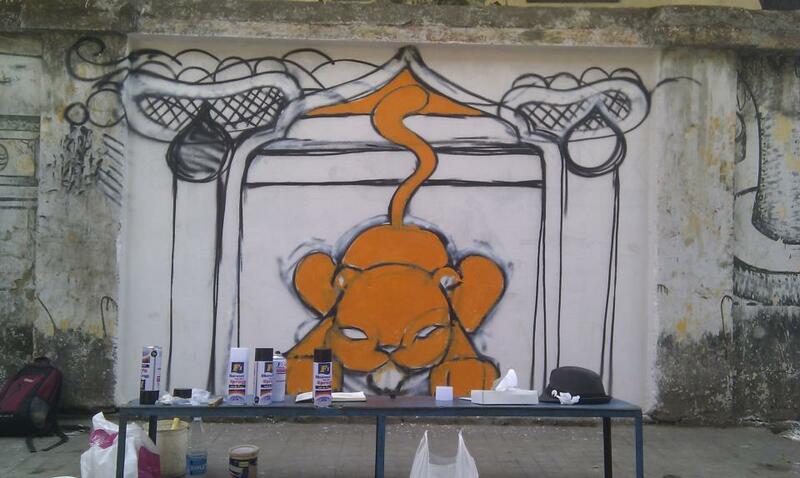 I also spoke to a Greek woman called Katerina about graffiti as her son is a graffiti artist and rapper. We talked about the strong links that the artforms have and how some people still see it as a negative force, when the art of expression is a very positive one. After I had finished the piece, Katerina also read the Tyger by William Blake ( see below). All of the children then came and had their picture taken in front of the piece and we all jumped around and cheered. 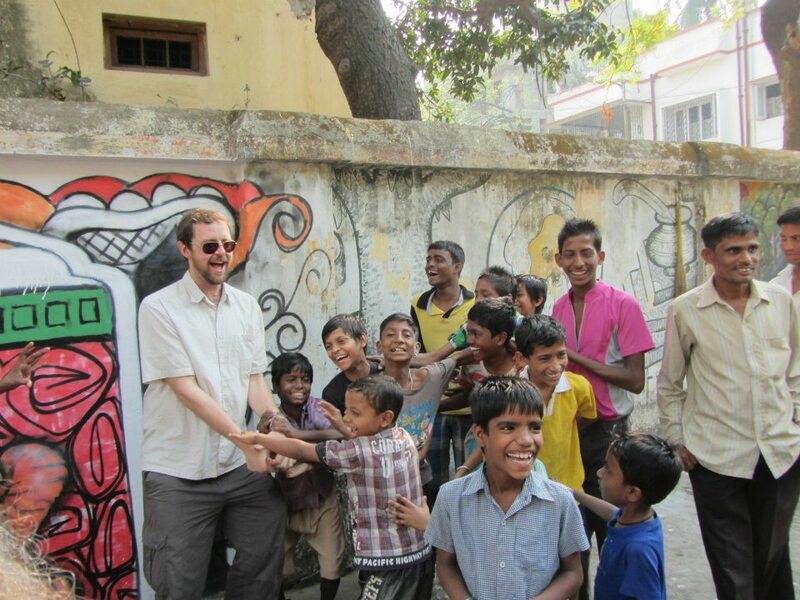 It was a great experience and an honour to share a little bit of what I do with the community of Ballygunge. I hope that one day I can go back and do it again. Many thanks to Sweata Sharma, Richa Kumar, Manas Acharya, Doenka Bhutia, The Calcutta Times and all the fantastic people that I met that day on Dover Place. Additional thanks to Ro and Anshuman Harshwardhan for their images.